Homes should ideally be designed to handle rainwater properly. Excess water should be flushed through your property’s drainage system and away from your home’s foundation. As a reliable handyman, Peak Roofing Contractors specializes in ensuring your home has proper water runoff. Today, we discuss signs that your home is suffering from a poor drainage system. This indicates a serious problem in your drainage system. Less obvious signs, however, would be water stains visible in the area. These can stem from clogged or poorly installed gutters. In any case, you should hire a professional like us to deal with these issues right away. We can perform a thorough gutter inspection to determine the condition of your gutter system. Depending on our findings, we’ll recommend replacing your gutters or installing a gutter protection system to ensure proper water runoff. Uneven moisture under the foundation due to excessive water exposure can damage your foundation and put your home’s overall structure at risk. This can be due to misaligned downspouts or water backing up and overflowing as caused by debris collecting in the gutter system. We’ll check your gutters for any debris accumulation and recommend the best solutions to keep water away from your home’s foundation. Moisture buildup in your home can lead to mold and mildew growth. 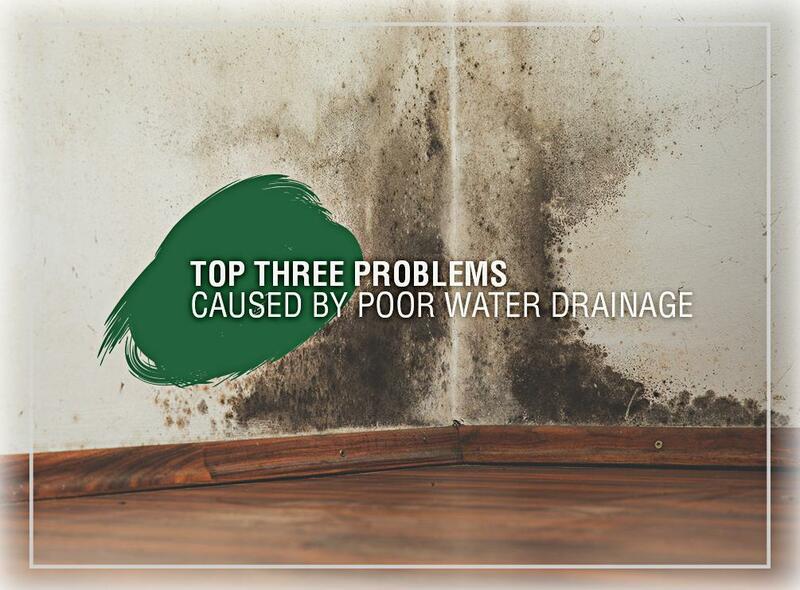 This can be due to inefficient water flow caused by an existing problem with your home’s drainage system. You can prevent this from happening by letting an expert inspect various areas of your home. This way, we’ll be able to determine the root of the issue. This will also let us suggest efficient solutions that will ensure smooth water flow in your drainage system. We’ll also recommend siding replacement that will help slow down moisture buildup in your home. Our vinyl siding have insulating properties that will keep the right temperature in your home. Furthermore, they don’t require much upkeep to preserve their beauty and quality. Don’t let a poor water drainage system compromise your home’s overall structure. Count on professional gutter and siding contractors from Peak Roofing Contractors to help keep your home dry. We also provide high-quality roof and windows that will protect your home from the effects of the elements. We serve Manassas, VA, and other areas in Virginia. Call us today at (703) 745-5153 for a FREE estimate.